If your business operates in the B2B space, getting in touch with high-level executives at businesses is likely to be vitally important to your success. These people have the decision making power that can turn business your way. Before you get to them, though, you have the task of getting past their executive assistants: people whose job it is to not let you through. Executive assistants carefully filter email, voicemail and phone calls. They know that irrelevant email and pointless phone calls can be very annoying to their bosses. Direct mail, though, has a different quality and makes it past them to sit on the desks of the executives you want to reach. If you do even a reasonably good job targeting the right business executives with your marketing, they will be pleased to see your mail. 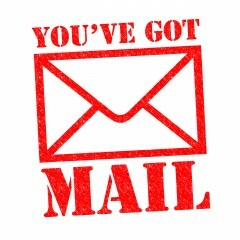 Direct mail is rarely annoying the way email and phone calls tend to be. You do need to work hard to make sure that your B2B direct mail message is as relevant as possible, though. How do you do this? Any piece of direct mail that you send to an important executive at a company should be a message straight from the most important person in your organization. You can try either a brochure with a message from your CEOs or a letter personally signed by him, with his phone number and picture. Coming from the CEO, your mail will likely to carry a lot of weight. In direct mail marketing lingo, thick mailers are called dimensional mail. A high quality envelope filled with informational material that have considerable heft is likely to be impressive and to get an executive’s attention. Some marketers try to be more creative. They send executives invitations to catered lunches, a set of golf clubs, a set of the best leadership and management books on the market — anything to get their attention. Whatever it costs, it’s usually worth it. When you’re targeting an important person with your marketing efforts, you don’t want to use regular mail. 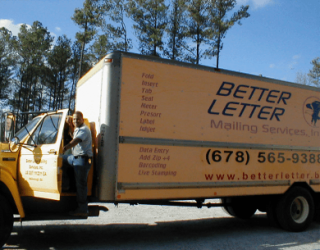 Sending your mailer out using FedEx or UPS Overnight can right away brand your mail as important. People can’t help but think that you have something very important to say when they see that your mailer in an impressive FedEx package. Teaser copy may work with regular consumers. It will only annoy serious people in important positions. Whatever information you send out, it needs to be complete and in-depth. The average high-level executive gets around 200 pieces of mail each week, or 40 pieces each day. With direct mail, you get to stand out. Direct mail can offer a valuable, cost-effective way to market your business. 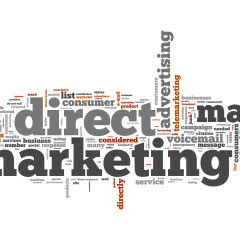 However, before you embark on a direct mail campaign, it is important to take time to define your goals and targets. If you understand what you want to achieve before you begin your direct mail campaign, you will be able to measure whether or not it has been successful. By taking time to develop a direct mail strategy, you can be confident that you will remain in control of your marketing. The first decision that you will need to make is whether you want to attract new customers or encourage existing customers to return and purchase additional products or services. The approach that you will take in your direct mail material will vary depending on which option you want to prioritize. You may want to introduce a heavily discounted offer for new customers to encourage them to make contact with you or come into your store for the first time. Alternatively, you could contact existing customers by direct mail to remind them of the high level of quality and service that you have provided in the past and highlight new offers. 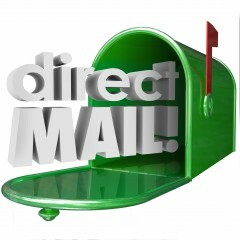 Direct mail campaign are most successful when they are targeted. If you are a local business, you may want to place a geographical restriction on your campaign to ensure that you are not wasting time, effort, and money trying to attract customers who are outwith the area that you serve. If your products or services are geared towards families, you may want to target households with children. 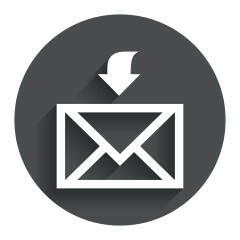 By targeting your direct mail campaign, you can increase your response rates. After your campaign is over, you should set aside time to evaluate it and decide whether it has been a success based on the goals that you set before you started. In this way, you can decide whether to repeat the same campaign. If it has not been as successful as you had hoped, you can identify the changes you need to make to implement a successful campaign in the future. You can measure your response rate by including a unique code on the marketing material that customers need to quote when they make contact with you. By tracking how many customers use this code, you can determine how much business has been generated by the campaign. If you have employees who will deal with customers on your behalf, ensure that you brief them to ask for the code while the campaign is live to ensure that your response rate measurements are accurate.